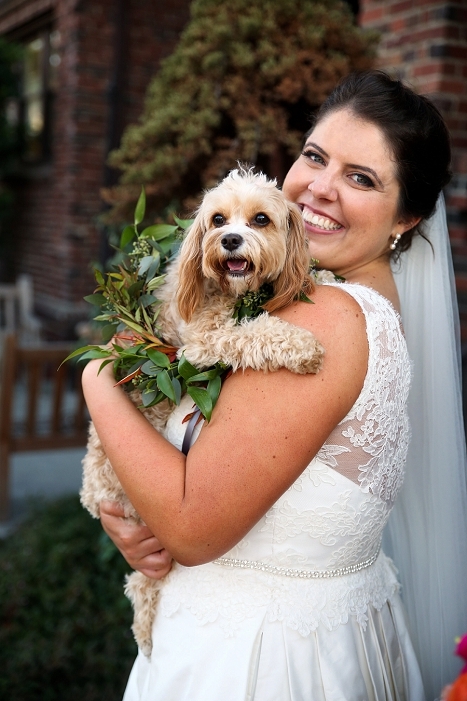 Your wedding is a special day filled with all your loved ones, so why wouldn’t you include your furbaby? 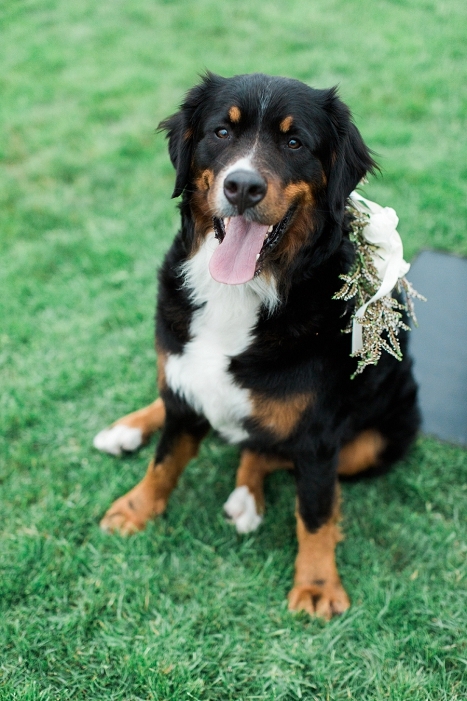 Dogs at weddings are a great inclusion but also require some detailed planning. Here are 5 tips to help ensure a smooth doggy day! Find a venue that is dog friendly. If you want to include your pup in the actual ceremony, make sure to ask about this when researching venues. Some venues will allow animals at the ceremony site but not the reception due to health code regulations regarding animals around food. Some hotels allow pets in rooms, but not at the ceremony site or certain parts of the property. Designate a point person that can care for your dog. You will be busy taking pictures, mingling with guests and getting married, so arrange for a friend or family member to be in charge of transportation, feeding, walking, potty duty, etc. If you don’t have a person available or want to ensure your family can fully enjoy the wedding, hire a professional dog sitting service. Consider how much of the day you want your doggy to be involved in. Some couples assume they want their pooch around for the whole wedding but when we sit down and talk about how much is going on that day, we often decide to include their dog in a special portion of the day such as the ceremony, in the room while getting ready in the morning, or being brought around for picture time. Consider how comfortable your dog will be. Maybe an easy going furbaby that is comfortable at home won’t be so calm around lots of strangers, noise or new locations. We’ve experienced barking dogs, running dogs and nervous dogs at weddings, so it’s important to think about what would be best for them. If you can’t include your dog on wedding day, consider including them in your engagement photo shoot. Sometimes travel, logistics or venues won’t allow your pet to be on site on wedding day. You can include them in your engagement shoot so that you still have special captured memories to savor. Make sure to communicate with your photographer so they can choose an animal friendly location. Here’s to a special wedding day with ALL your loved ones!